SPAR is one of the largest and most progressive food retailers in the world. With more than 12,000 stores across 35 countries, SPAR brings wholesalers and retailers together under one name to bring the best value for money to its customers. 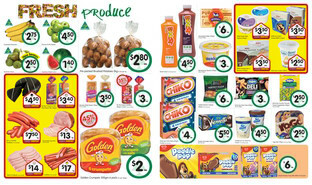 Shop online at SPAR to browse the latest catalogues and weekly ads for hot deals and special offers. Shop at SPAR online and browse a terrific range of articles on healthy living! Be inspired by many healthy recipe ideas like brilliant breakfasts, low fuss lunches, delicious dinners, and sweets treats! Plus, read up on how snacking is part of a healthy lifestyle, what to eat to help improve the quality of your skin, and the power of portion control, among others! 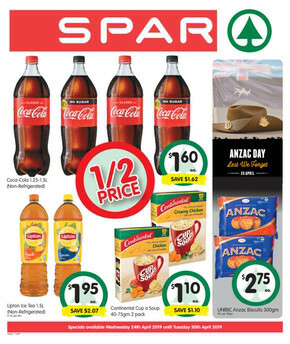 SPAR always has a variety of competitions running for you to enter! With previous competitions offering you a chance to win 1 of 10 Ziegler & Brown Portable Grill sets, or a share of $10,000 worth of groceries, you won’t want to shop anywhere else! For additional information on store locations, opening hours, and to browse the latest SPAR flyer, visit the Shopfully website today or download the app!